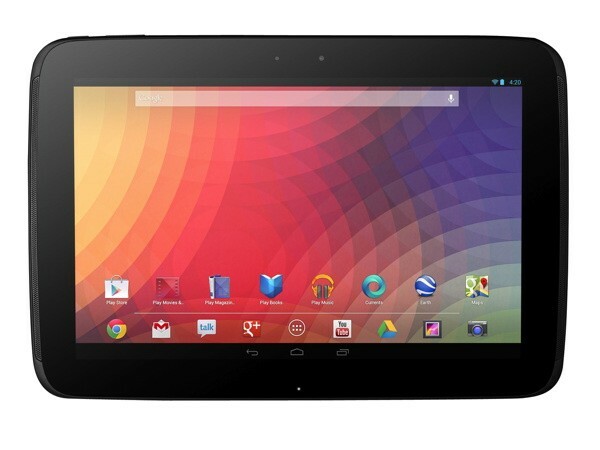 Asus built Google’s next Nexus 10. A couple weeks ago we caught a glimpse of some rather conspicuous-looking leaked images, one of a package slip of the upcoming Nexus 10 and the other of an Asus roadmap presenting all the devices they were planning to build. Both of these pictures led us to speculate that Asus would beat out Samsung in the manufacturer ‘race’ to make the upcoming Nexus 10. At the time, we took these possibly fake pieces of evidence with a justifiable grain of salt. Now, the reputable and trustworthy source @evleaks has just made fiction fact: Asus will indeed build the next generation of the Google Nexus 10 and with that, secure the exclusive monopoly over Google tablets. And why wouldn’t they? They’ve already proven that they make fantastic tablets and in their excellent partnership with Google have delivered the highly acclaimed Nexus 7 to the world (check out our 2013 Nexus 7 test). In the past, we had already heard from Google’s inner circles that the latter has no intention in unnecessarily contributing to Samsung’s already dominating superpower over the global market, which ultimately would lead to more problems for Google down the road. The facts now put aside, we’ve heard nothing concrete about technical specifications nor about a release date for the new Nexus 10. That being said, we first heard from an insider tip that the 14th of October could possibly be when Google announces the LG Nexus 5 and Android 4.4 KitKat. Now as the date approaches, others are saying that October 31st is a more likely release date, with the announcement planned for mid-October, which is where the 14th could come in. The Nexus 10 could then possibly be tacked on to the announcement of these, along with a Nexus watch, codename Gem, though all of this is purely rumor. What do our Nexus 10 fans think of Google currently giving exclusive rights over their tablets to Asus? Do you welcome this news with open arms or were you looking forward to another Samsung device instead?